“Dinesh opens the door to the Kapoor flat to find Lata, the enchantress who works at Mrs Aly Khan’s, carrying a hot case with freshly made gaajar ka halwa. On the first floor, the inquisitive Mrs Mody wipes the dust off her precious binoculars to spy on the building’s security guard. The Singhs open the doors of their SUV, their four boys creating a ruckus – they are the newcomers, the outsiders. Through the peephole, the ever-watchful Mrs Ranganekar observes their arrival. Welcome to ‘Paradise Towers’, an apartment building in central Mumbai. Everyone here has a story to tell. Or maybe they have stories to hide.” Shweta Bachchan Nanda’s debut novel, ‘Paradise Towers’, will release on 10th October 2018, with a book launch event in Mumbai. 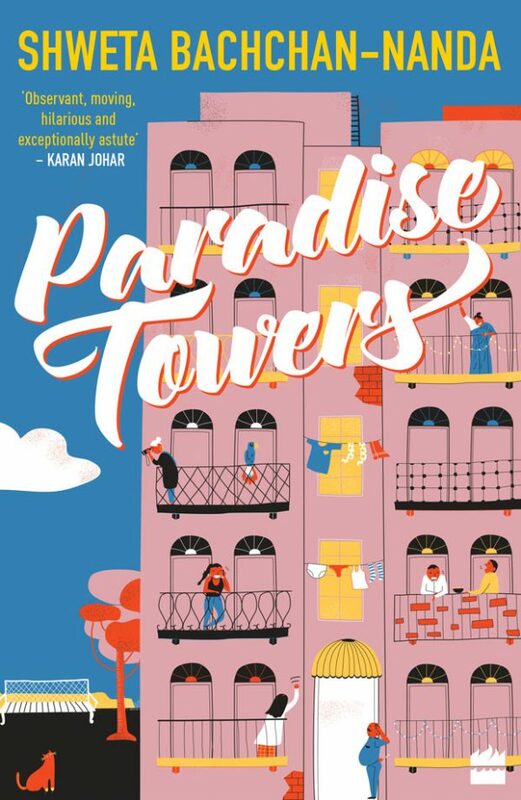 A heart-warming slice-of-life novel set in an apartment building in Mumbai, Paradise Towers, is a riveting read brimming with the drama and intrigue of everyday lives. Shweta Bachchan Nanda is a well-known personality, she is the daughter of actors Jaya and Amitabh Bachchan. Shweta is married to Nikhil Nanda and is the mother of two children. She has her own clothing label, MxS, which launched in 2018. Which Eyeliners Work Best for Your Look?